Did Netflix ever think that they would be responsible for a new front in the war on drugs? Well, not directly, of course. But the hugely popular ‘Narcos’ series, now in its fourth season and having travelled north from Colombia to Mexico, seems to have prompted a trend in films and TV shows that focus on the international drugs trade. It's not the first time audiences have shown an interest in this world. Illegal substances and the nefarious characters that traffic them have long held an interest for a vicarious, pleasure-seeking viewer. It was the world of the bootlegger in the classic Warner Bros gangster films of the 1930s and the activities of the Mafia, both in Italy and America, in the years since. But stories of Pablo Escobar became the stuff of legend since the 1980s, alongside Nancy Reagan telling children to 'Just say no'. And with them, audiences' focus shifted to activities unfolding south of the US border. Films about drugs have created a spiders web of pop culture references over the course of the last 50 years. There are the tales of the users, from Easy Rider (1969) and Christiane F (1981) to Drugstore Cowboy (1989) and Trainspotting (1996). But its the excessive lifestyles of the criminals at the top of the drugs trade that have captured the imagination and nightmares of audiences. Key amongst these is Brian DePalma's wild, excessive Scarface (1983). It set the template for the rise and fall narrative of the classic drugs tale. Al Pacino offers up one of his least restrained performances as Tony Montana, a low-level hood from Havana who rises to the top of the Miami underworld before betraying the faith of his more serious South American connections. In the blood-splattered climax, a suitably fitting end to a film in which modesty has no place, Tony doesn't so much die in a hail of bullets as take his place among a pantheon of legendary screen villains. New Jack City (1991), City of God (2002), Miami Vice (2006), American Gangster (2007) and The Counsellor (2013), amongst many other films, all followed suit, with each finding different ways to capture the danger and, on occasion, glamour of this world. Both Blow (2001) and American Made (2017) followed the routes of international smugglers, giving Johnny Depp and Tom Cruise meaty roles that allowed them to play against type, while The Infiltrator (2016) offered a portrait from the perspective of a government agent who successfully worked his way to the top of a major cartel. Both American Made (2017) and The Infiltrator (2016) tell stories of men who moved in the same sphere as Pablo Escobar. And although the drug kingpin has been dead for 25 years, his legend remains as popular as ever for filmmakers. Outside the rise and fall narrative of the first two series of 'Narcos', Escobar's life has been covered in no less than eight books, made appearances in a number of TV series and been the subject of more than a few films – often replaced by a fictional character whose resemblance to the Colombian criminal is more than passing. 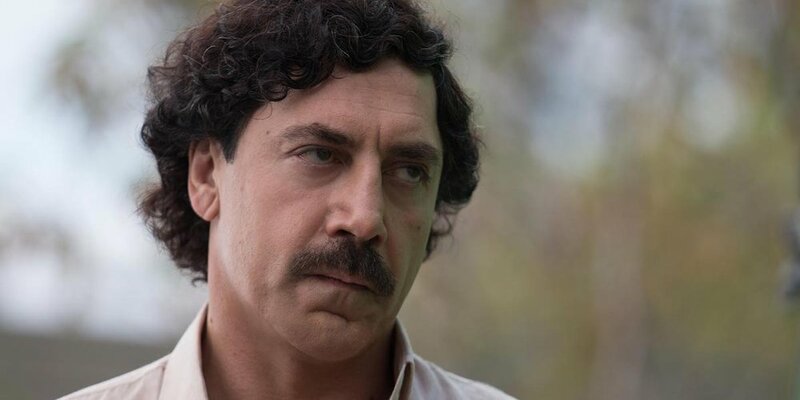 Fernando León de Aranoa's Escobar, based on the bestselling book 'Loving Pablo, Hating Escobar', tells the story of the affair sparked between the criminal and Colombian journalist Virginia Vallejo. Those who watched 'Narcos' will be familiar with it, as it played out as a minor strand in the bigger picture of the hunt for the notorious murderer. But here, Javier Bardem and Penélope Cruz take on the lead roles, bringing gravitas to the story. Escobar is Bardem and Cruz’s third on-screen pairing to date, after Jamon, Jamon (1992) and Vicky Cristina Barcelona (2008). (They will soon be seen together again in A Separation director Asghar Farhadi's Everybody Knows.) But for once, through the actions of arguably the most notorious drug baron in history, the stars might be less known than the characters they play.